This product has reached end of life, with no direct replacement. Please contact our sales team for more information or replacement options. 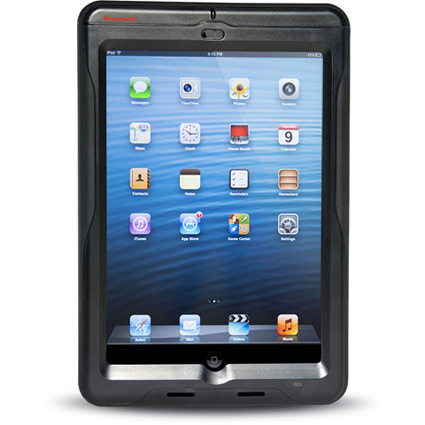 The Honeywell Captuvo SL62 sled pairs with your iPad Mini to create an easy to use data collection tool. Building on the successes of the Captuvo for iPhones, the SL62 is a great option for farmers´ markets, tableside payment, and more. Data capture is a snap with the Captuvo SL62´s built-in Adaptus Imaging Technology 6.0 2D imager. Virtually every barcode is read easily by the Captuvo, speeding up the checkout process and eliminating the hassles of trying to scan with the iPad´s camera. EasyDL software provides driver´s license or ID barcode parsing, making it easy and error-free to fill out sign up or admitting forms. Select Captuvo SL62 models include a built-in magnetic card reader. When combined with payment processing software, you get a powerful way to take payment virtually anywhere. Built to handle a full day of use and abuse, the Honeywell Captuvo SL62 offers the reliability you need at your business. A built-in rechargeable battery not only powers the scanner and optional card reader, but can supply power to the iPad if needed. Recharging is as easy as connecting to the included mini USB cable. 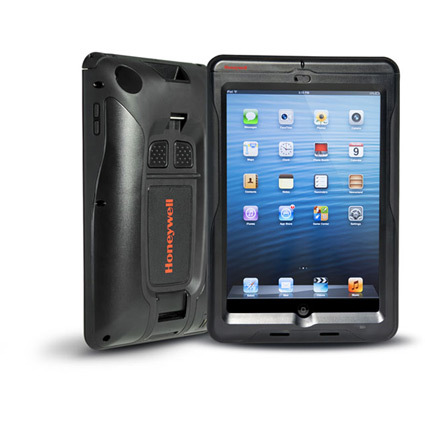 The Captuvo SL62 is built tough, able to survive the bumps and drops that happen in enterprise locations. Shipping with a 1-year warranty, the Honeywell Captuvo SL62 is a fantastic method to improve data collection at your business. Dimensions (W x D x H): 6.0" x 1.34" x 8.8"